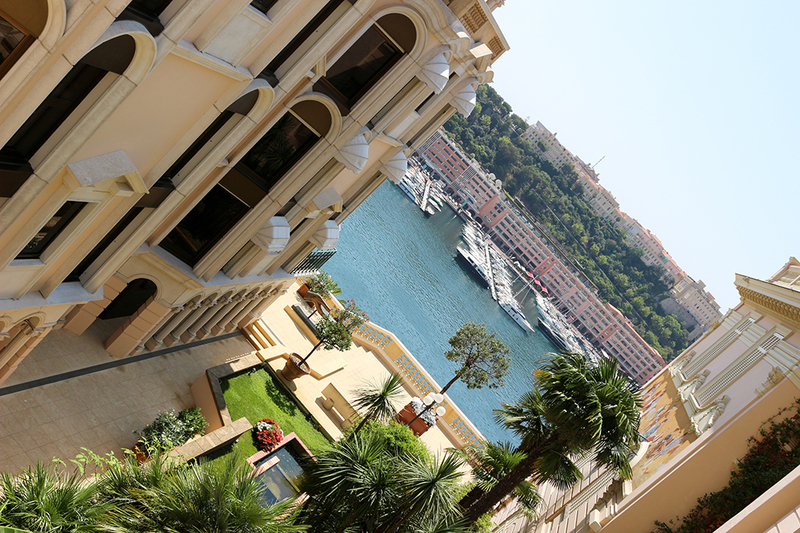 Ahhh the Hôtel Hermitage Monte-Carlo. 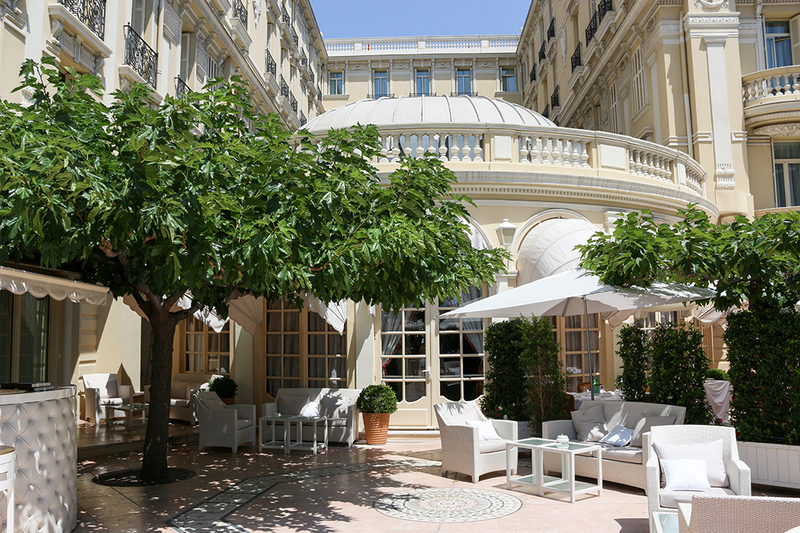 Pronounced Hermitaaaaage by the French, this Belle Époque dream was built in the early 1900s and is one of the two best luxury hotels in Monte Carlo. 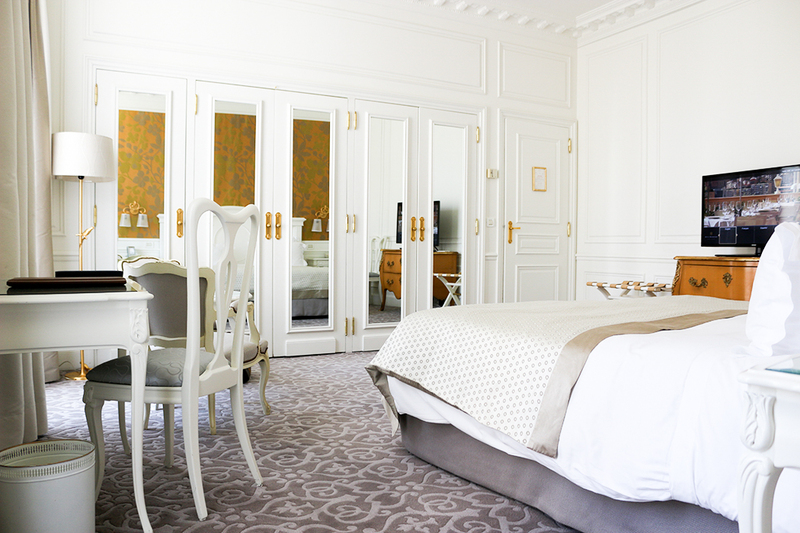 Its competition the Hotel De Paris is undergoing a huge refurb due for completion in September 2018, until then only 53 rooms are available to its most loyal customers. 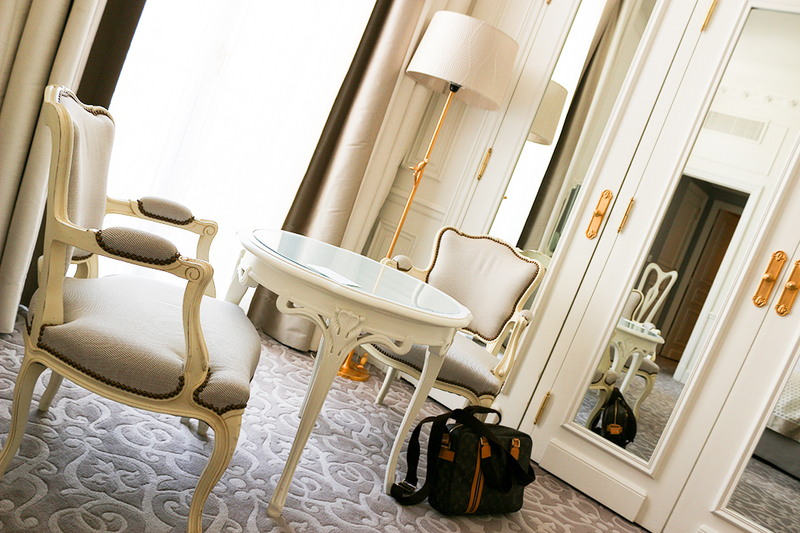 All this makes the Hôtel Hermitage Monte-Carlo an easy choice for lovers of luxury. 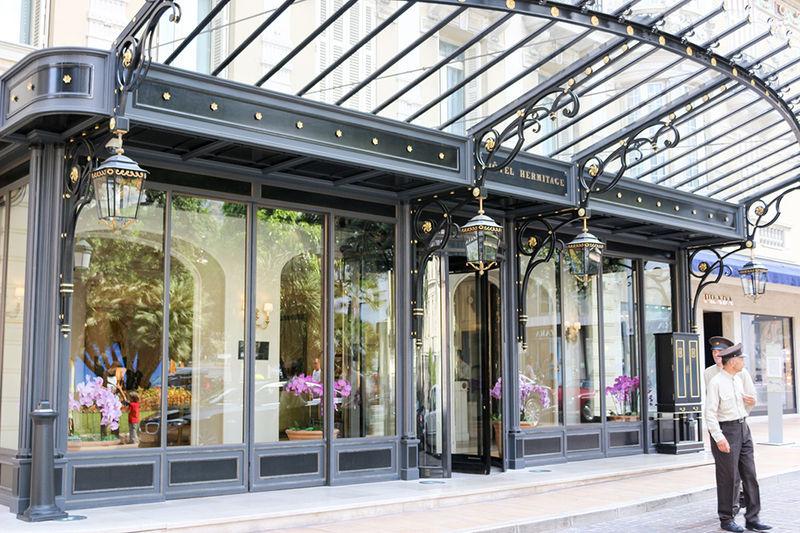 From the moment you arrive at the Hôtel Hermitage you can’t fail to fall in love with this Grande Dame. The historic facade is prettier than a wedding cake with intricate designs etched out of the creamy stonework. The competent concierge always parks a selection of the latest supercars outside on the cobbled driveway for passers-by to look at in awe. Around Christmas, a mini Narnia style forest is set up in the gardens in front of the hotel, complete with a festive merry-go-round and Santa Claus. 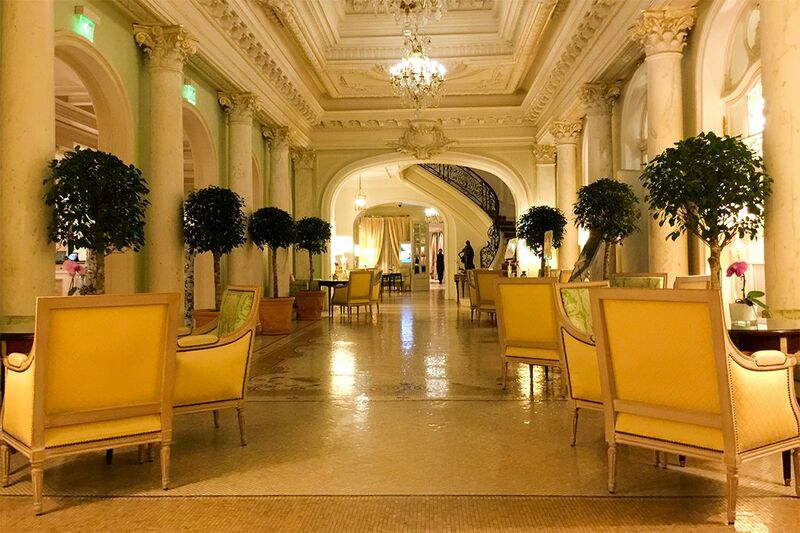 The Hermitage is a magical hotel whatever time of year you visit. Enter thought the rotating glass doors and you are whisked into a historic foyer dripping with glamour and sophistication. When we arrived in July it was an unseasonably hot and sweaty 34’C outside. Inside, the air-conditioning effortlessly and discreetly kept the interior at a pleasant 23’C. 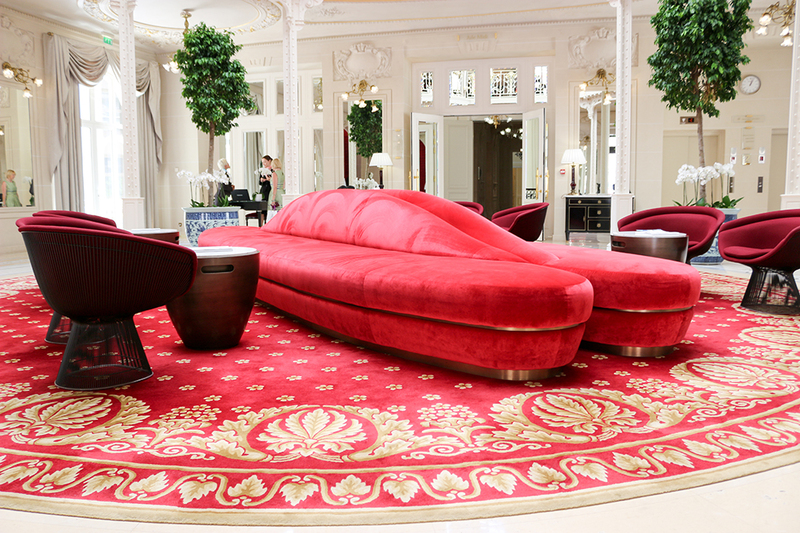 In fact the ambiance was so delightful and the hotel so extensive that some of the Monte-Carlo locals chose to walk their miniature dogs between the two magnificent foyers on a circular routing. This is certainly the most chic, marble encrusted dog walking route I have ever seen! The main foyer is an ornate room with high ceilings. Decoration is made up of cream pillars, chandeliers, works of art, beautiful flower arrangements and comfy sofas resting on a detailed mosaic floor. Behind this sits the tea area where you can sip a light beverage whilst enjoying sumptuous cakes layered with chocolate and drizzled with lemon. 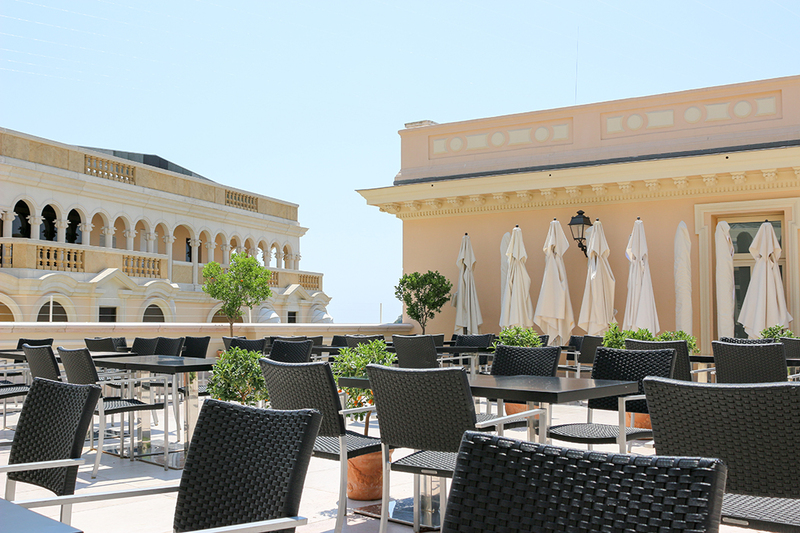 This remains the best place to take tea and cakes in Monaco – as a Leading Hotels of the World Unlimited member your Unlimited gift is a complementary tea and cake here for two, (this compares to the Leading Hotels Unlimited gift of 85 euros to spend in the bar when you stay at the Metropole Monte Carlo). Behind the tea area is the Grand Hall where I had a most glorious Christmas meal on Christmas day last year. 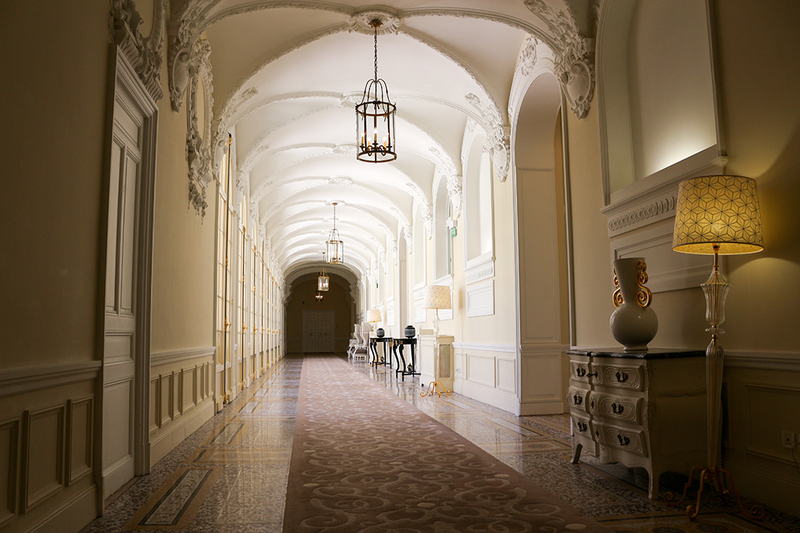 If you take a stroll down the endless marble corridors, each more impressive than the last, you will eventually reach second hotel foyer. This hall is grand red carpeted affair with another reception and concierge desk, sweeping stairwells and layers of ornate balconies all under the most enormous stained glass roof. My Junior Suite was immaculate and spacious with dado rail rectangles on the walls, high ceilings and that magical discreet air-conditioning. Two double door windows made the room bright and airy. Step out onto the ornate Romeo and Juliet balconies your view was a courtyard garden in the centre of this sprawling building. 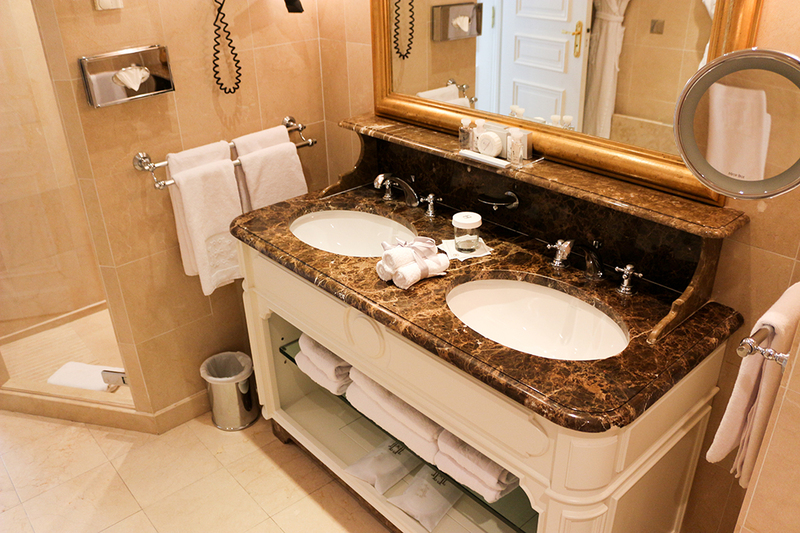 The bathroom was also large with all the essentials you would expect; walk in shower, generous bath, marble tiling and Bvlgari scented toiletries, (my favourite and also used by the Belmond Cipriani in Venice as well as being present in the Emirates Business Class toiletry bag). 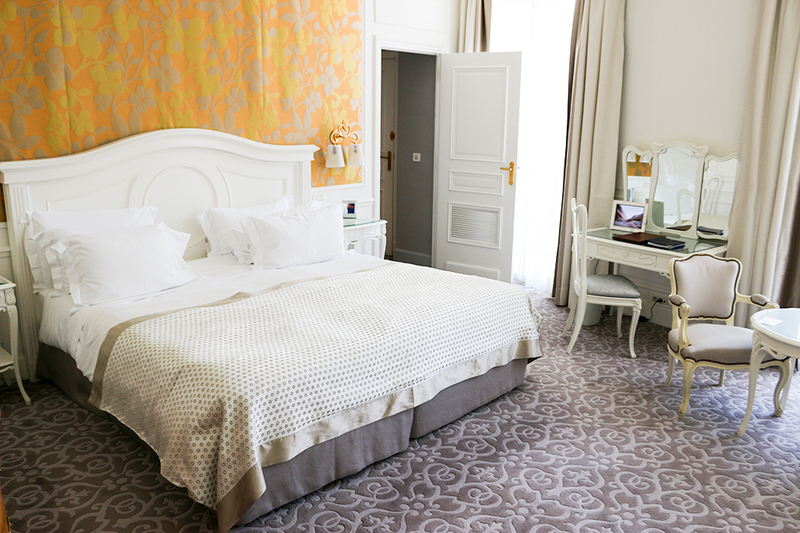 The room was oh so quiet, the bed was oh so comfortable – I enjoyed an oh so perfect nights sleep! On my next trip I hope to try the rather glorious One Bedroom Suite which has a courtyard view, decked terrace and Jacuzzi or even the Diamond Suite with Jacuzzi which also has a fabulous view across the bay. 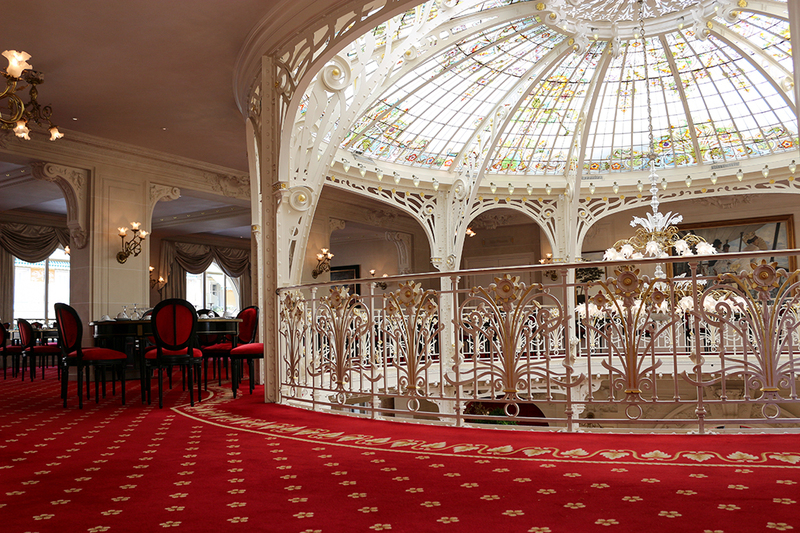 Breakfast was located on the upper level of the second foyer and underneath the enormous glass stained glass ceiling. There was also alfreco seating on the rooftop outside. The breakfast offering was plentiful but buffet in style with a very slow egg station that cooked and delivered eggs and pancakes to your table. To be honest, although the range and quality of the breakfast couldn’t be faulted, I find battling my way around a buffet and waiting 20 minutes for an egg slightly disappointing for this nearly perfect hotel. I did not dine in the restaurant which holds 1 Michelin star. Nor did I drink in the bar as I prefer to sit outside Cafe de Paris and watch the world go by. 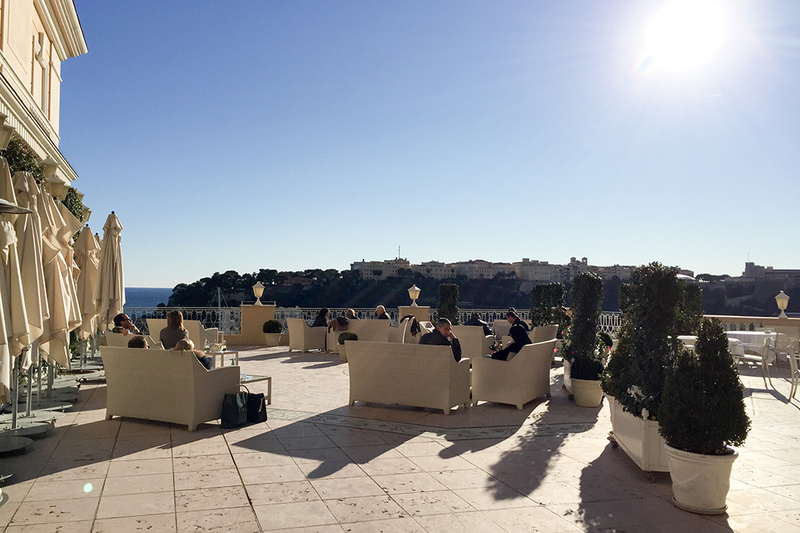 I did take a look at both the bar and restaurant in the Hermitage and if you are able to sit outside on the terrace, they offer one of the best views in Monaco, an expansive vista across the main harbour. On this stay, the Hermitage also offered a fireworks meal package where you could dine and then enjoy front line seats on the terrace for the 10pm summer fireworks. This is worth considering as these fireworks, held once every few weeks over the summer, are some of the most spectacular displays I have ever seen. 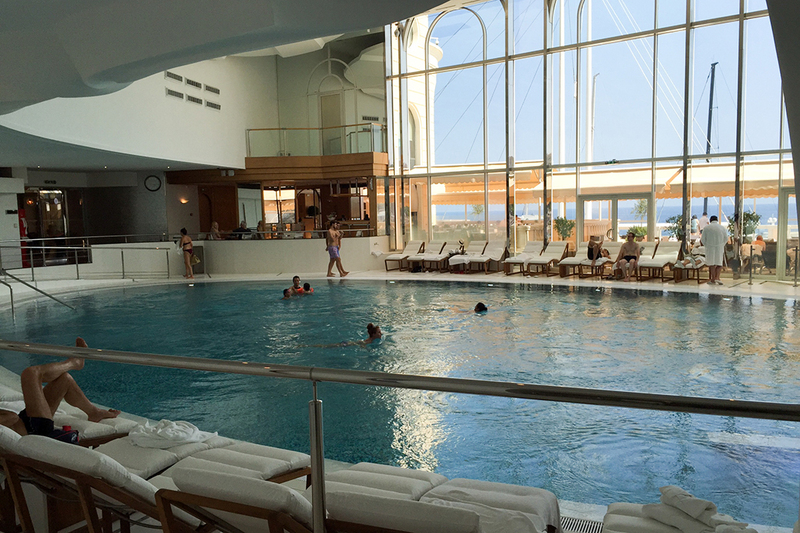 Other facilities at the hotel include a new indoor swimming pool and extensive spa and fitness facility located in the Thermes Marins Monte-Carlo Spa and Health Centre. This means the large pool isn’t exclusive to hotel guests but is probably the largest indoor pool in Monaco and also has a sun deck if you want to catch some rays. The gym facility is also one of the largest and best I have seen in Monaco. And so to the question on whether I would return and the answer is; but of course! 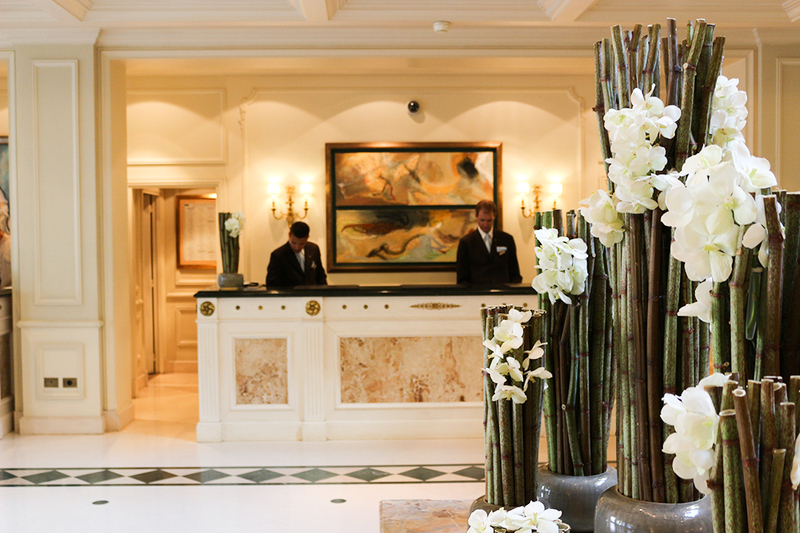 The central location, the immaculate rooms, the elegant communal areas, the hotel is simply enchanting. To add to the excitement, the main ballroom at the hotel hosts a calendar of events throughout the year. 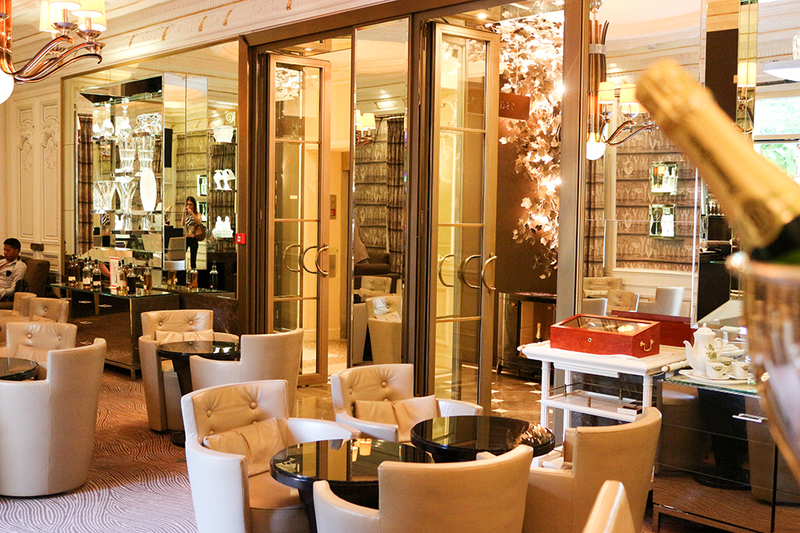 On this stay there was a stunning diamond jewellery and luxury watch showcase. Whist my husband was predictably being drawn to an assortment of Richard Mille watches, I spotted Dame Shirley Bassey browsing the concessions with friends, one of whom was gazing longingily at a large diamond when I overheard her say “Daaarling, you had better take a picture of that – as a picture is the only thing you’ll be taking home!”. 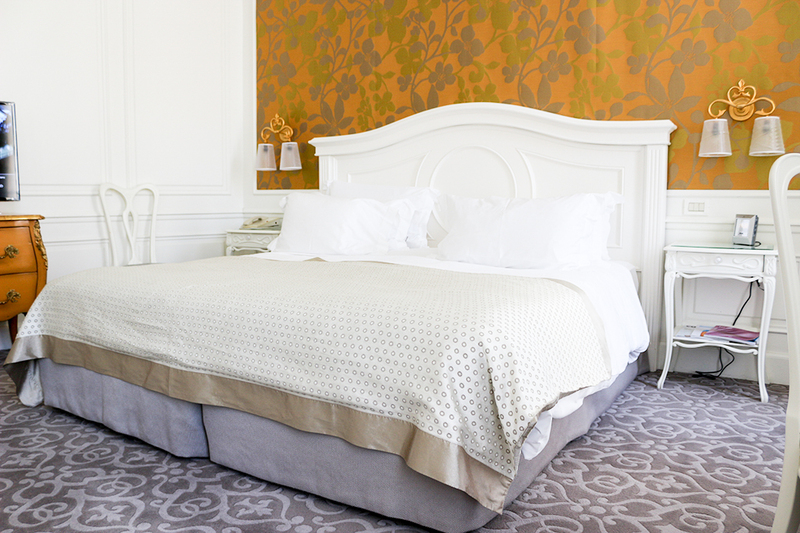 Although you may need a gold finger to afford some of the diamonds showcased at the Hôtel Hermitage Monte-Carlo, the rooms start at a very fair 348€ out of season and our Junior Suite started at 628€ and was worth every penny. The Diamonds started at around 100,000€ but I hear they last forever…. Hôtel Hermitage Monte-Carlo also features in my pick of the best destinations in Europe for 2017 and the best beaches and luxury hotels around the world.